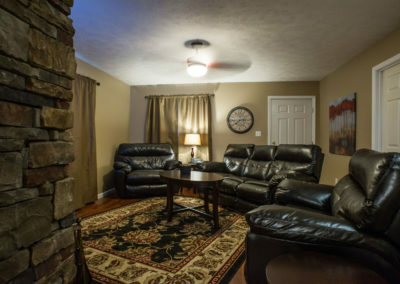 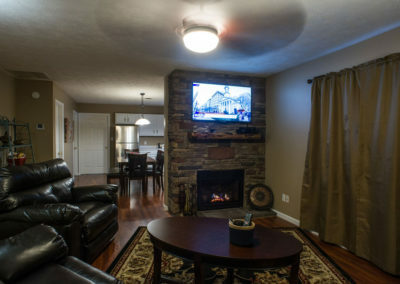 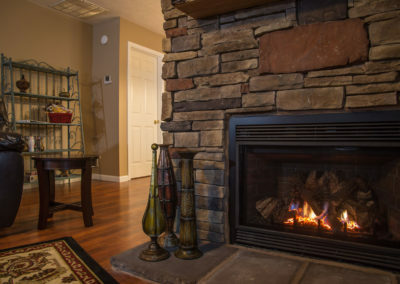 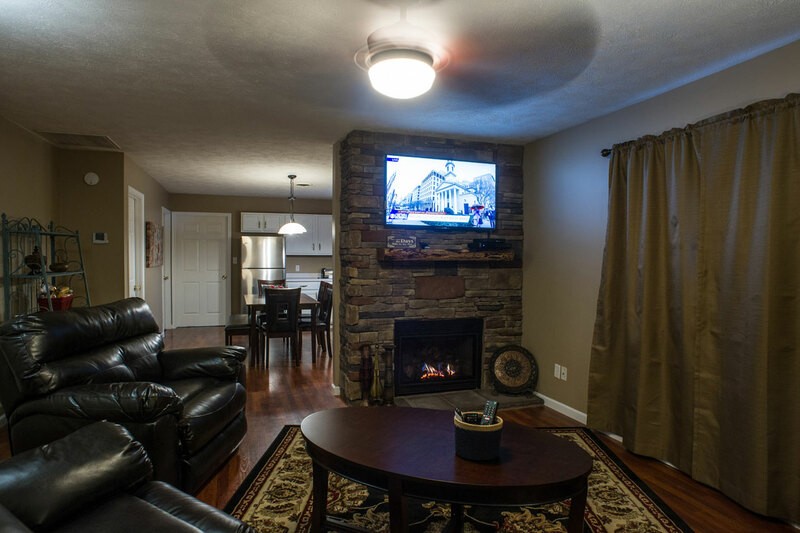 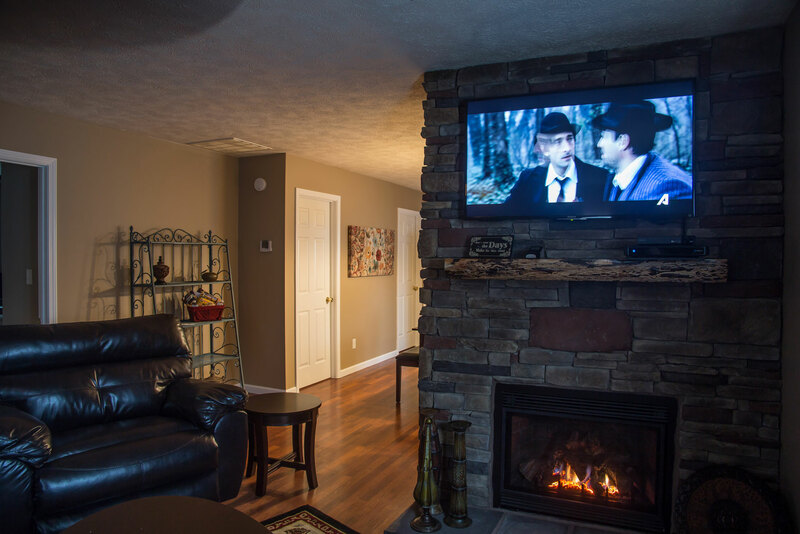 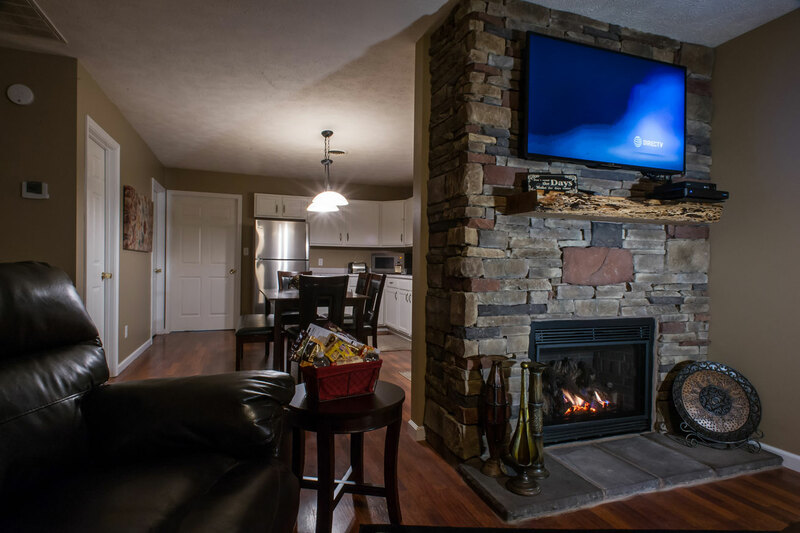 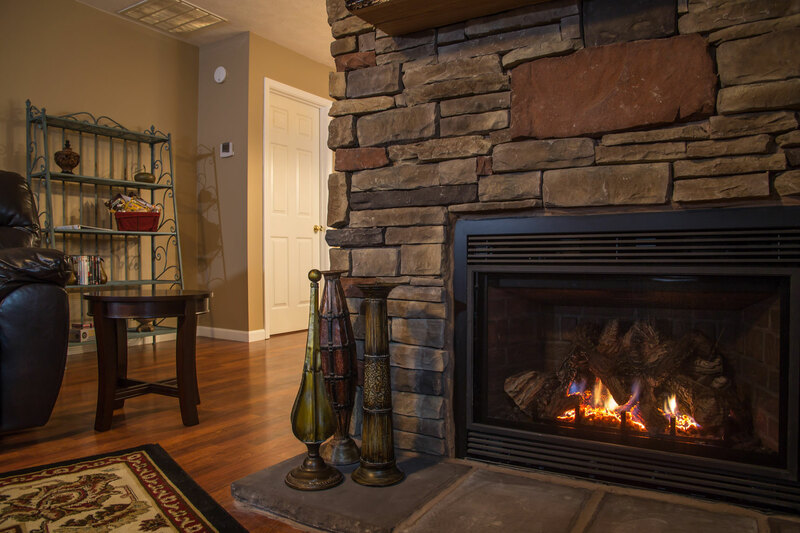 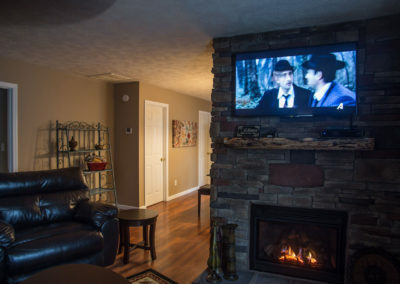 The living area has a gas log fireplace to make things cozy while you play games or watch movies & satellite television on our HD TV with, Blue-Ray/DVD player. 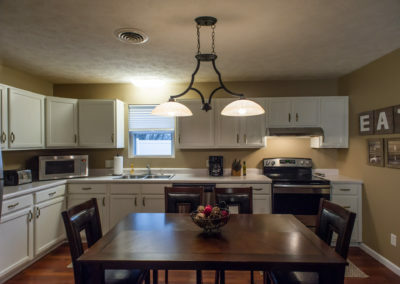 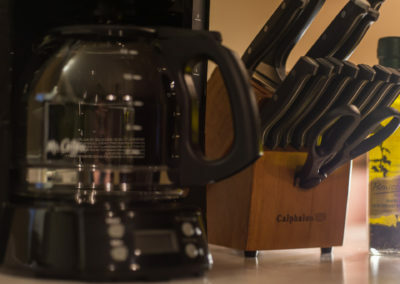 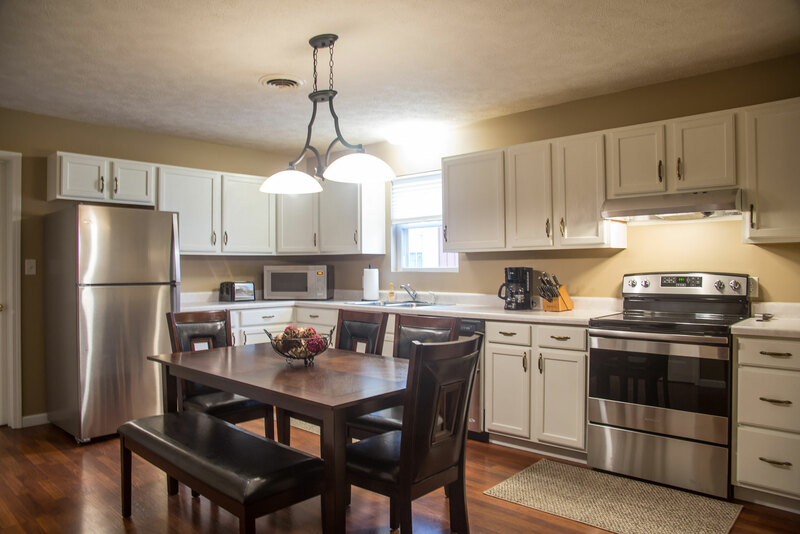 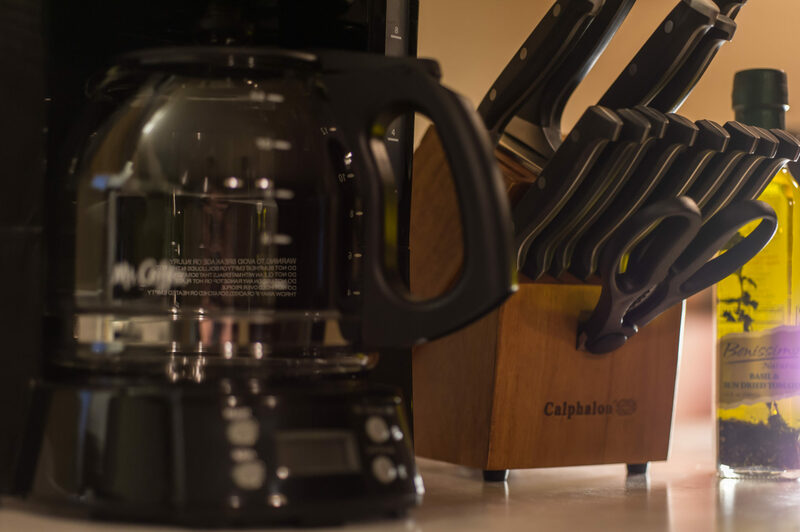 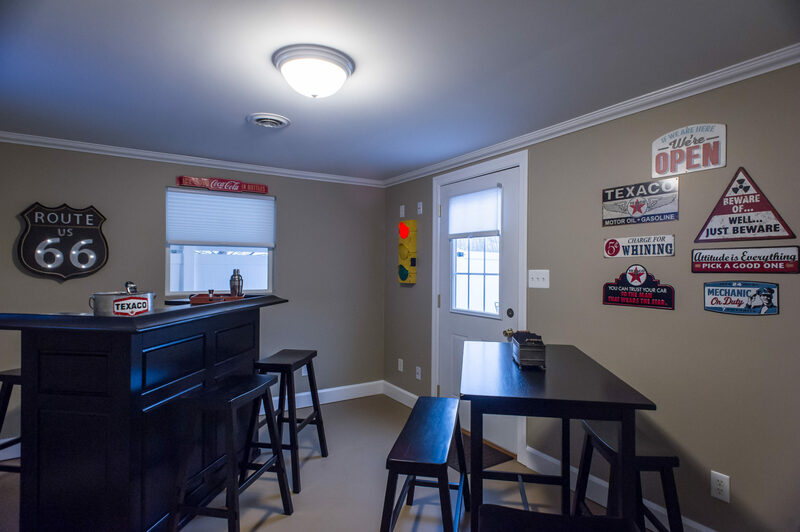 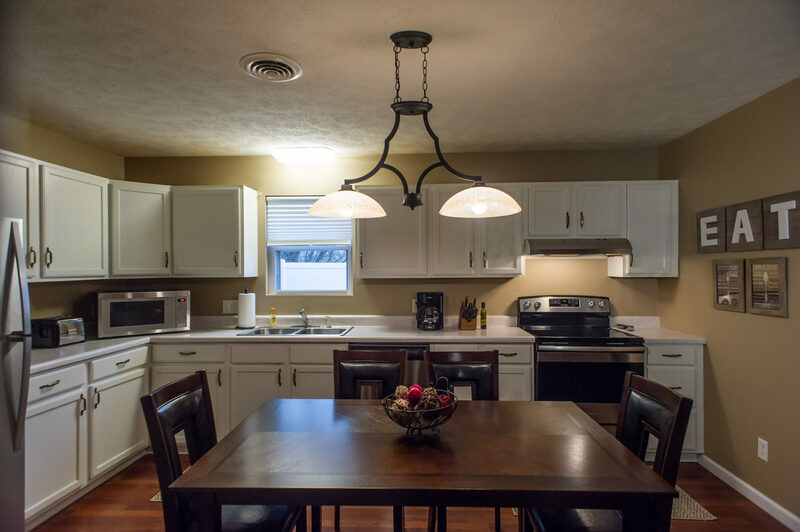 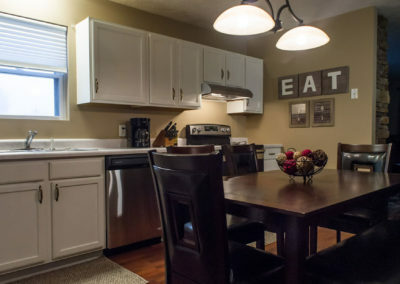 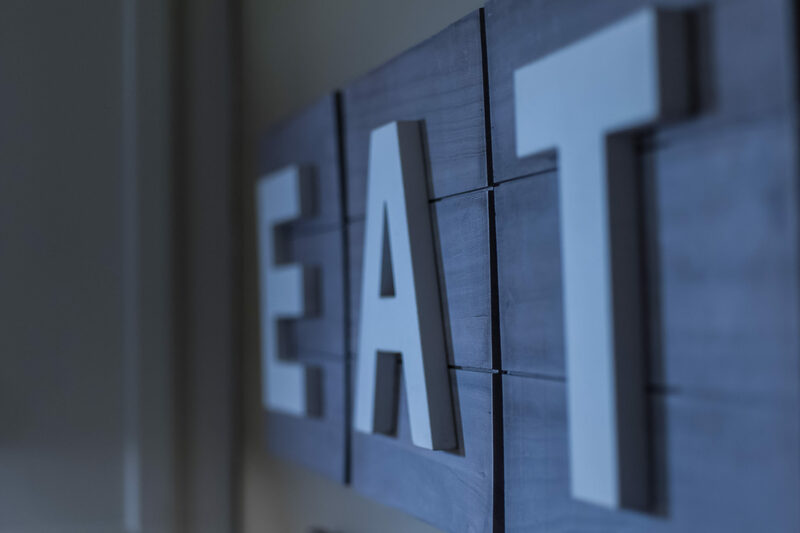 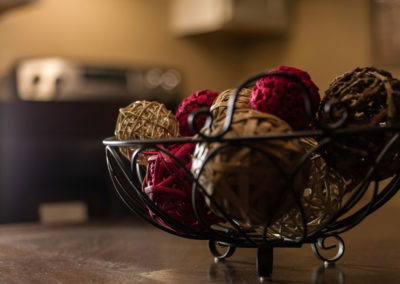 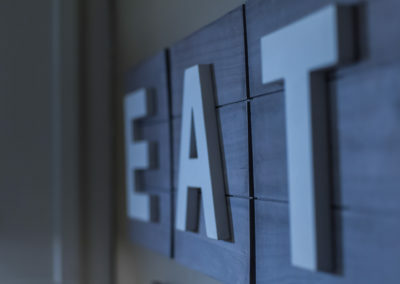 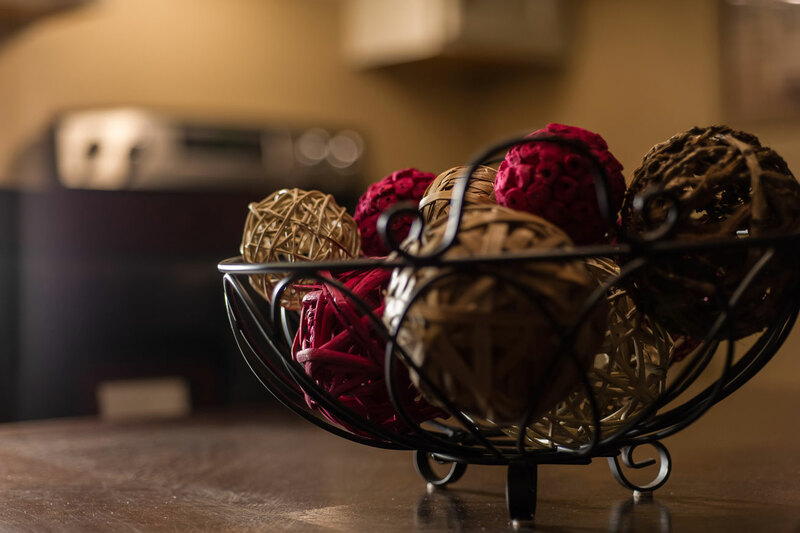 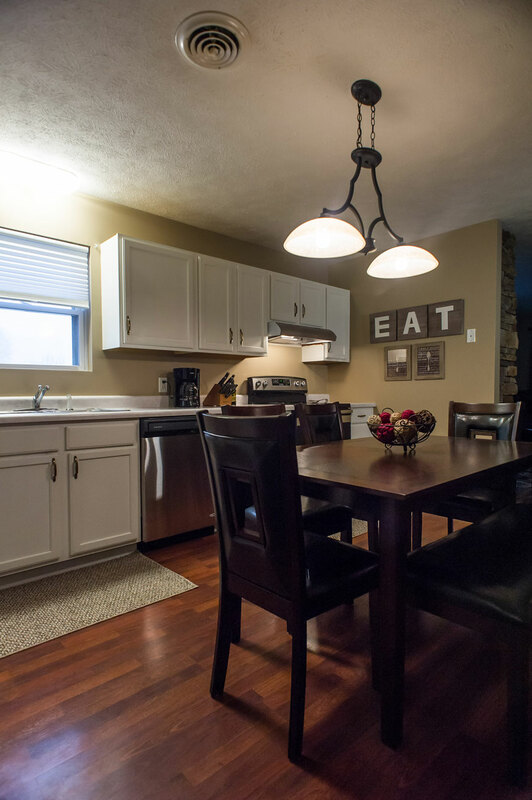 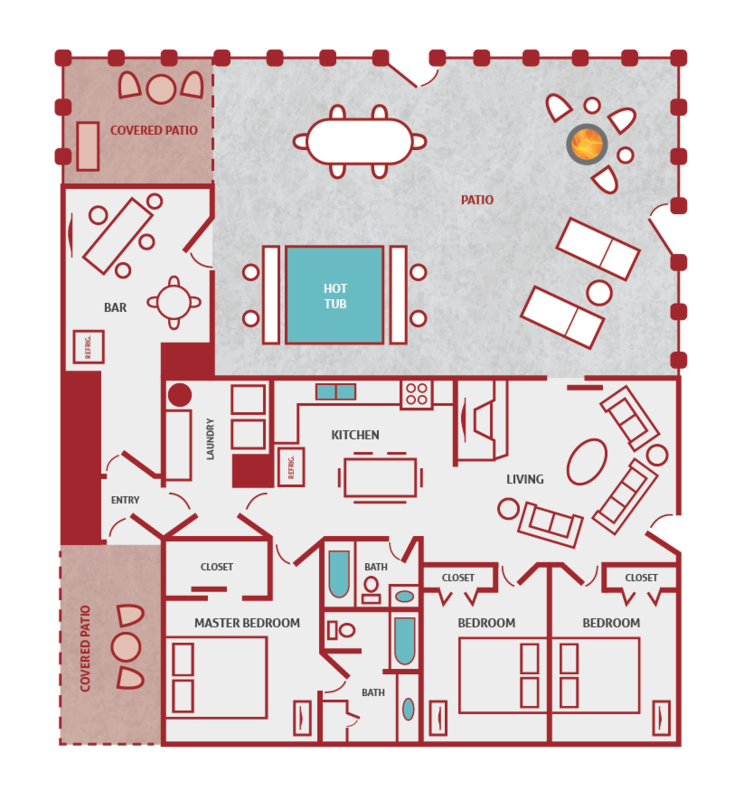 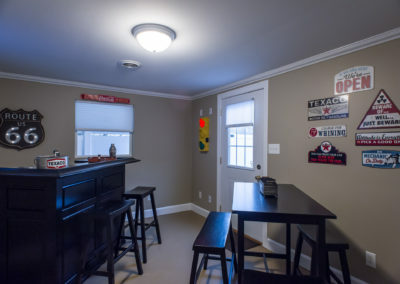 The full kitchen has dining for six and includes all the appliances, utensils, pots & pans and small appliances you need to make your stay a home away from home. 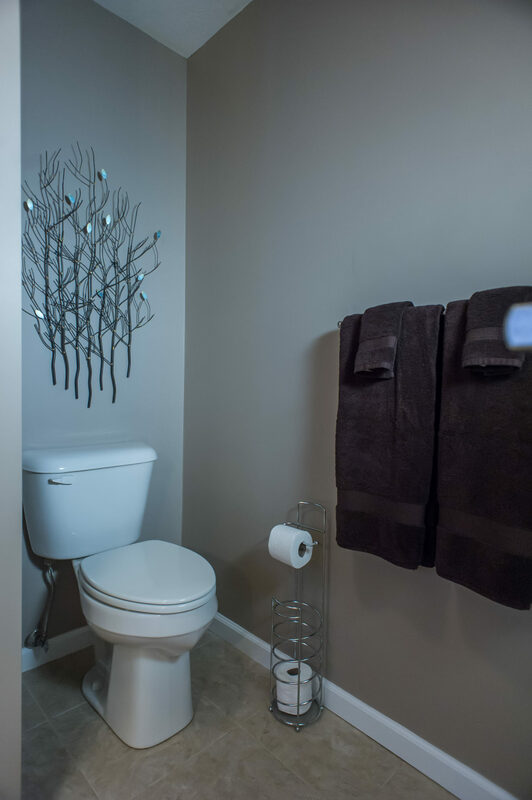 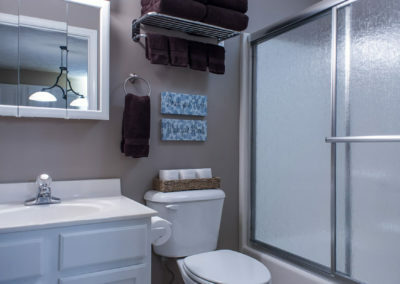 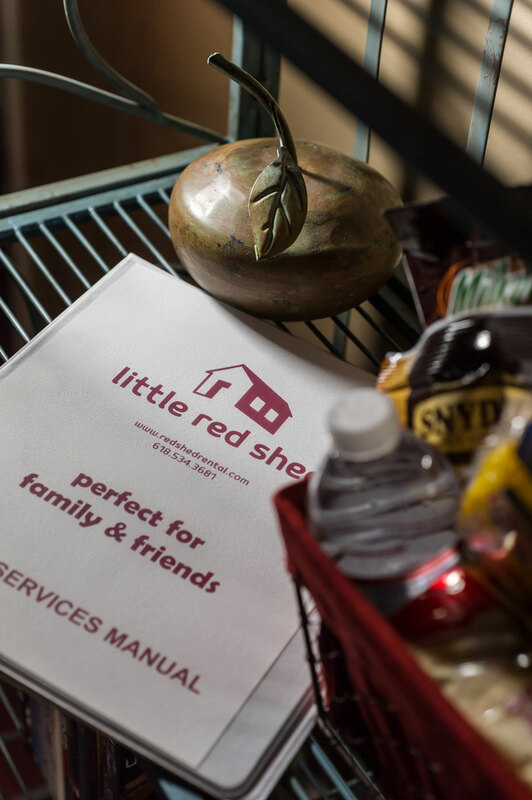 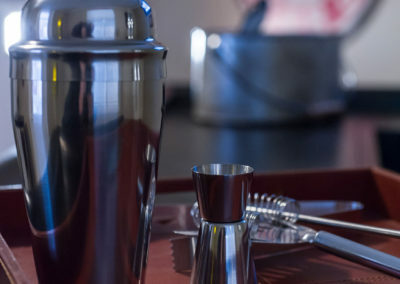 We also provide complimentary coffee, creamer & sugar, salt & pepper, paper towels & toilet paper and trash bags. 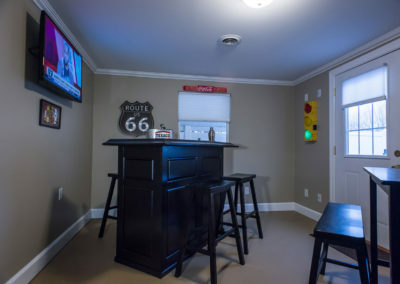 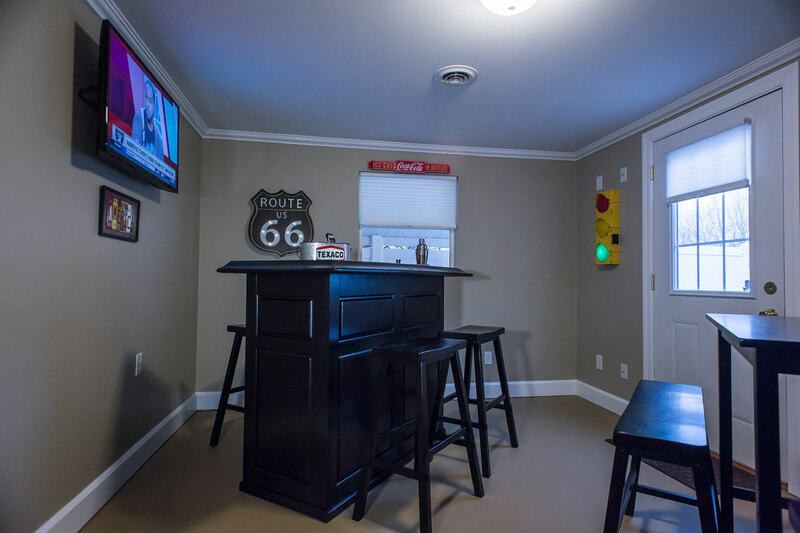 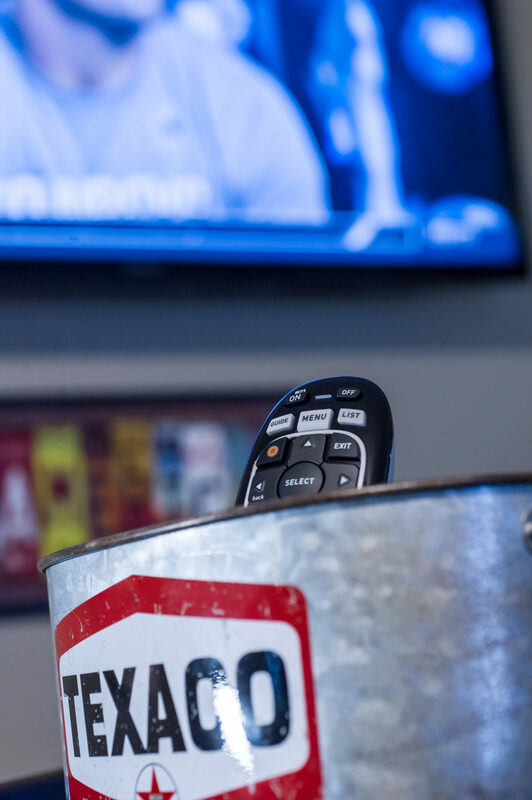 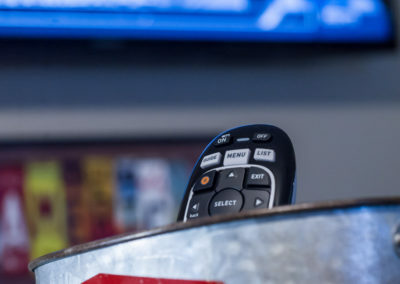 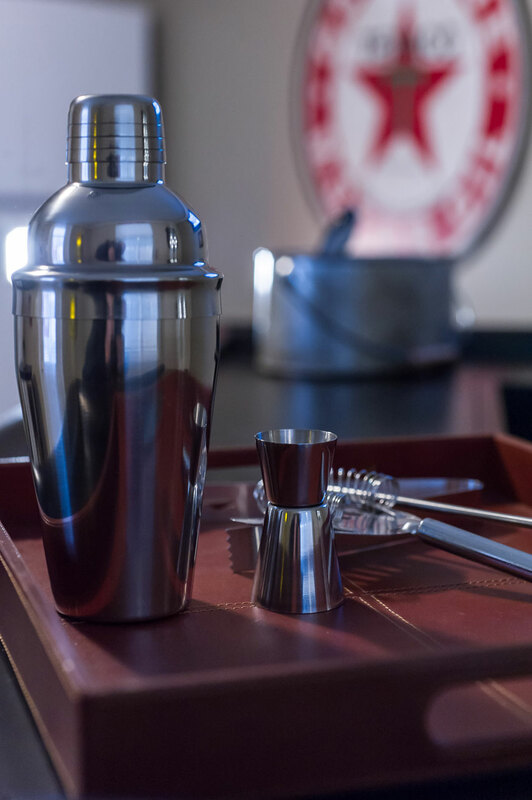 The unique bar & lounge room includes a bar and high-top seating for six with its own refrigerator and a flat-screen TV for watching the BIG GAME on satellite television. 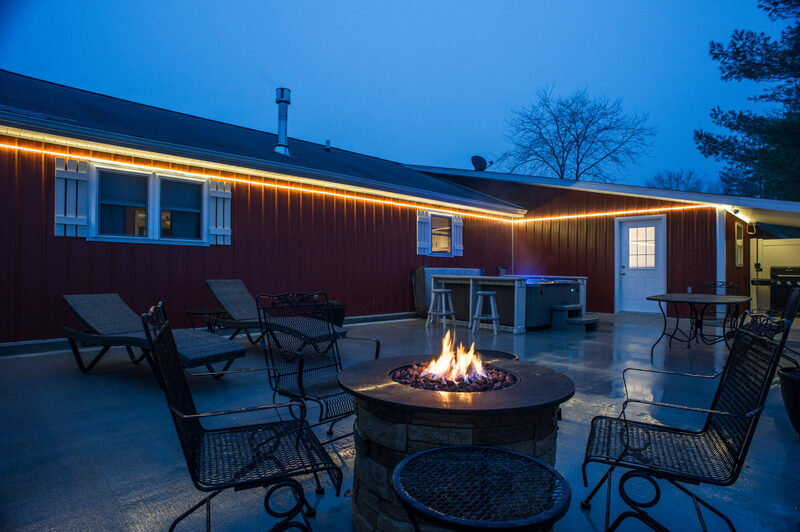 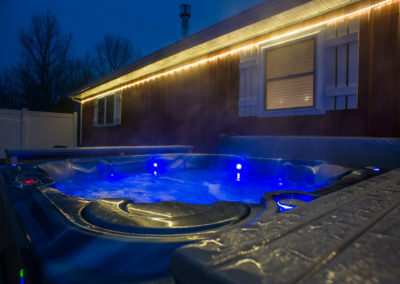 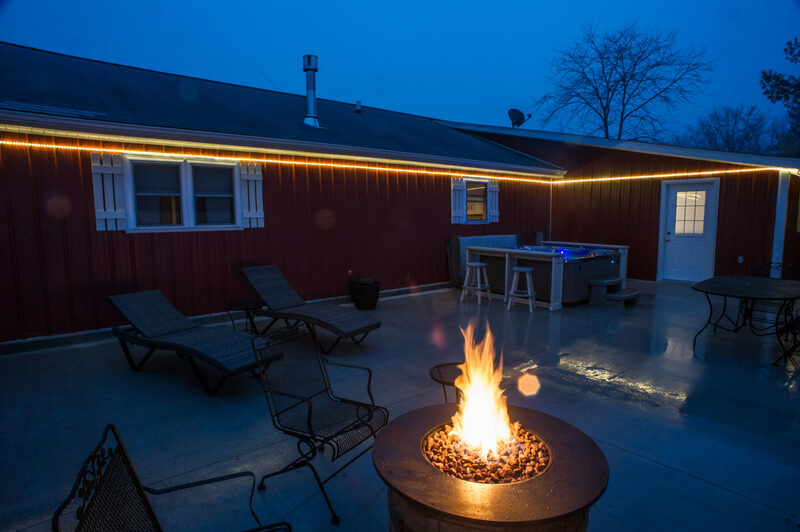 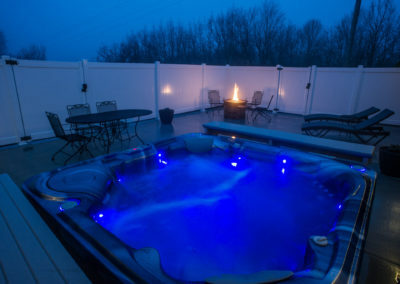 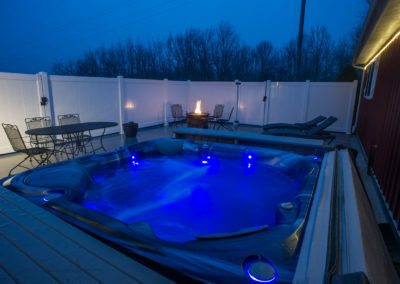 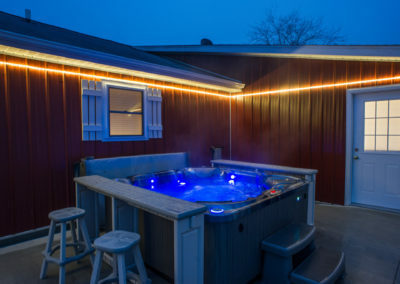 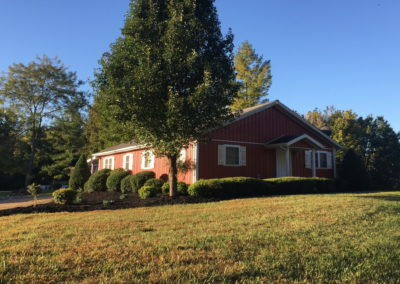 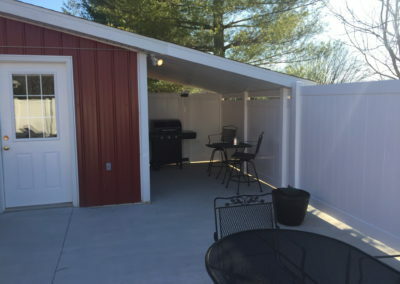 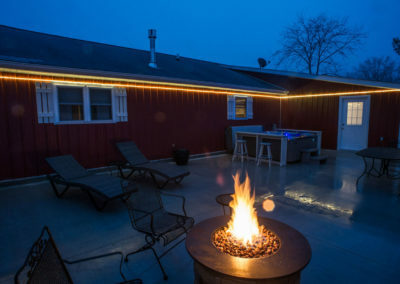 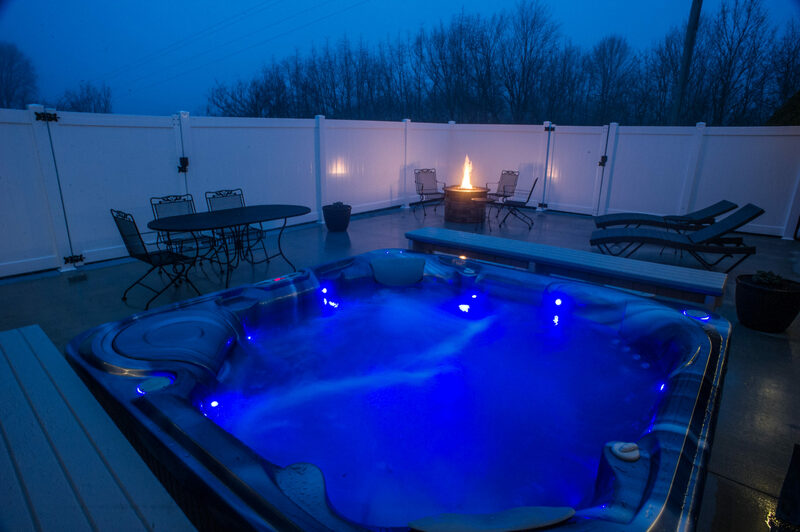 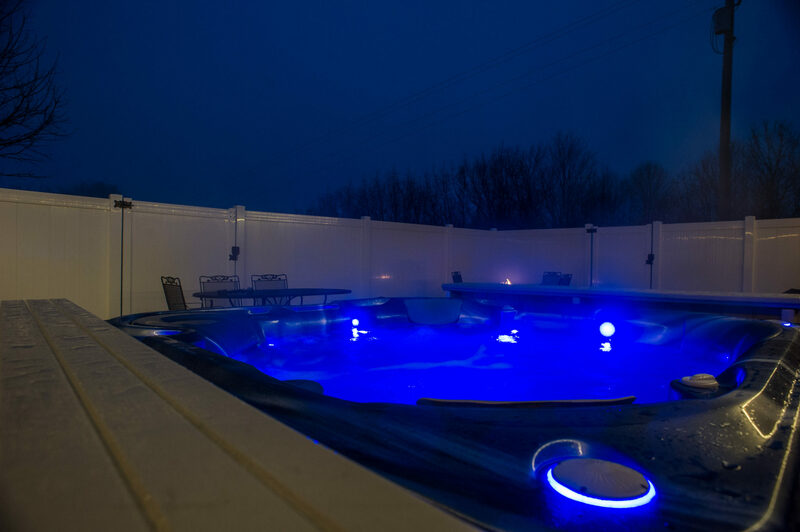 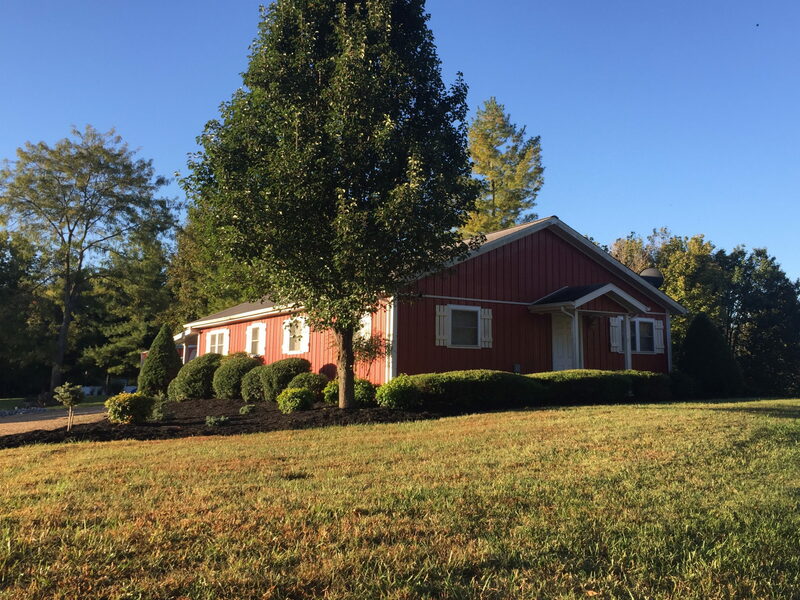 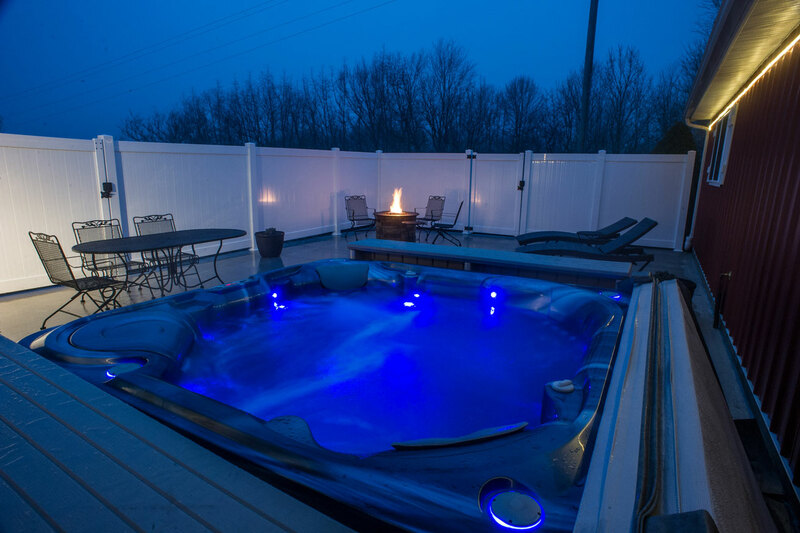 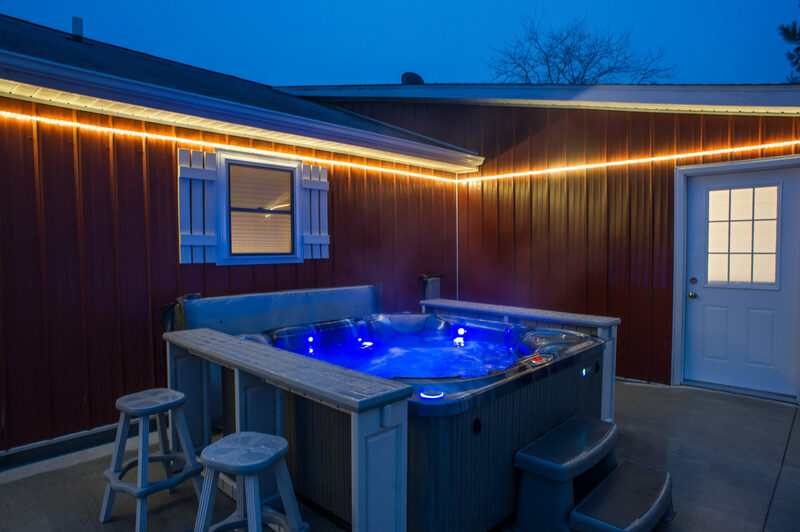 The beautiful and spacious outside courtyard is screened for complete privacy and includes a six-person hot-tub, gas fire-pit, outdoor dining area and a gas-grill. 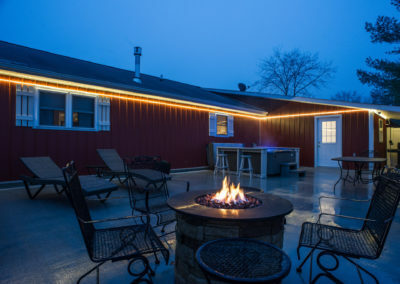 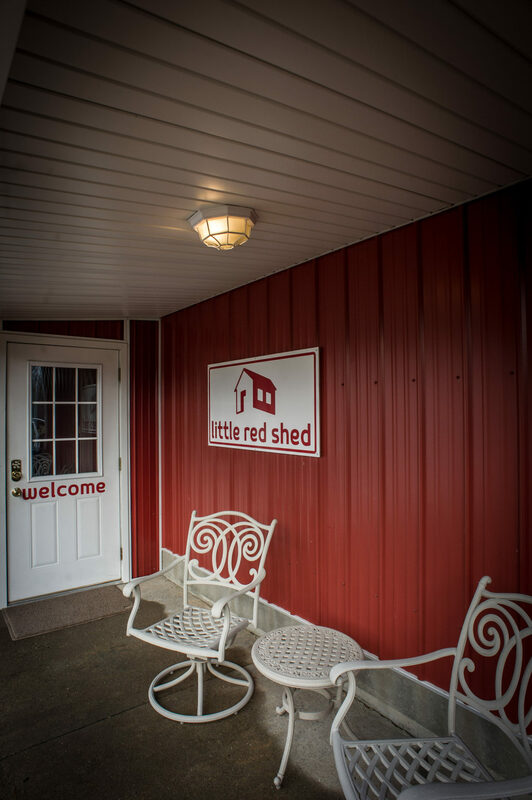 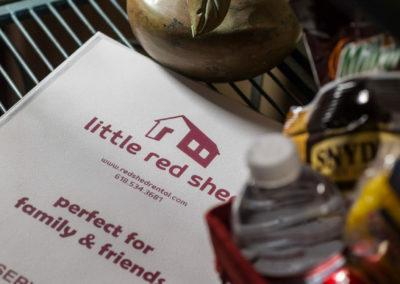 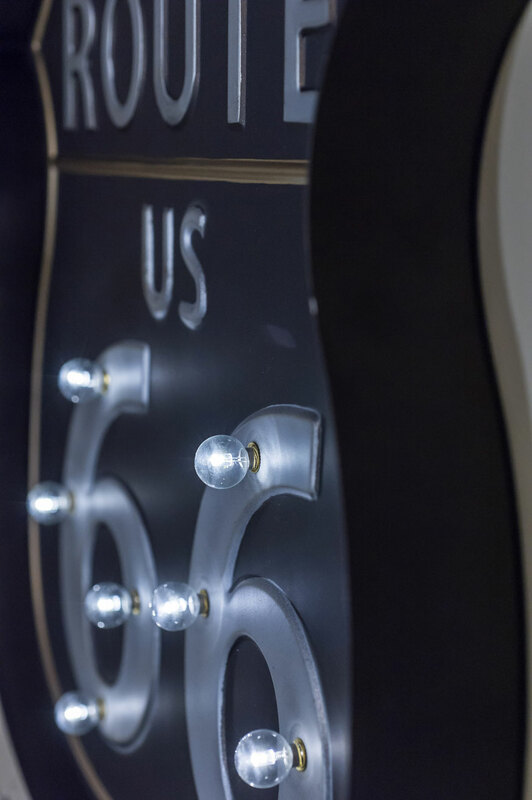 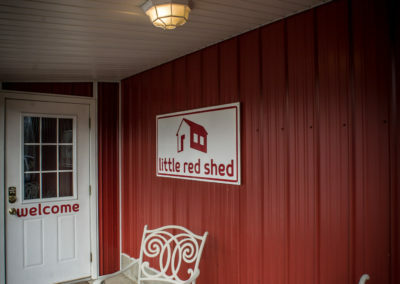 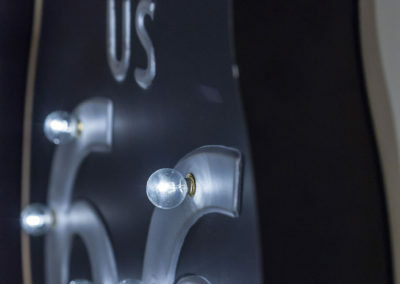 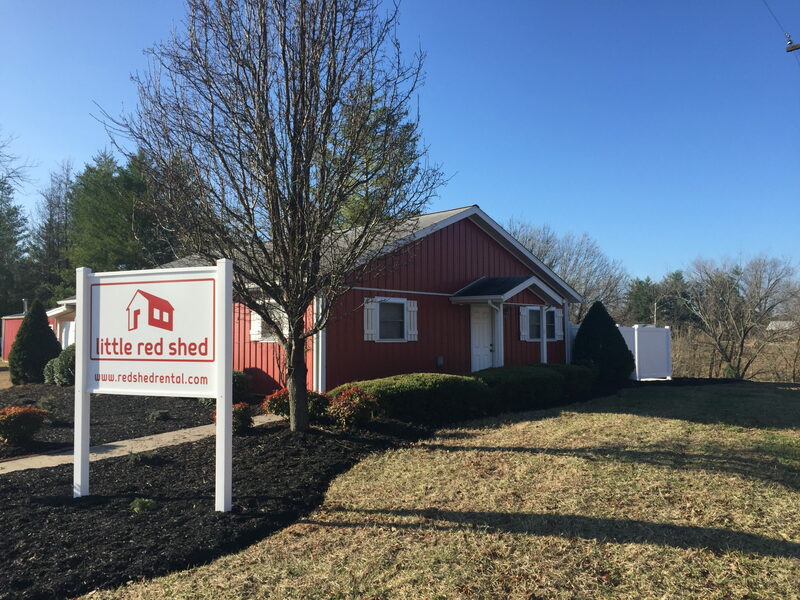 It is the perfect place for spending time together planning the day or recapping the excitement of your latest excursion around Southern Illinois. 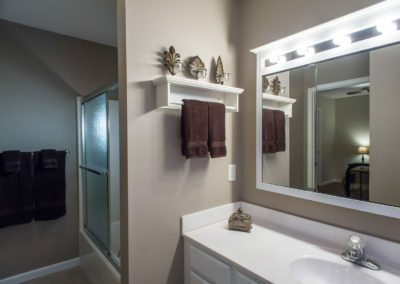 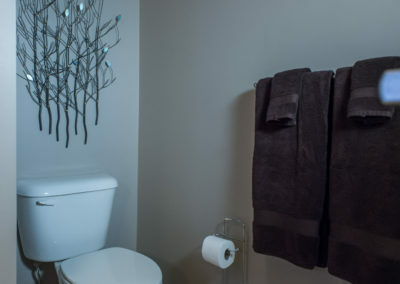 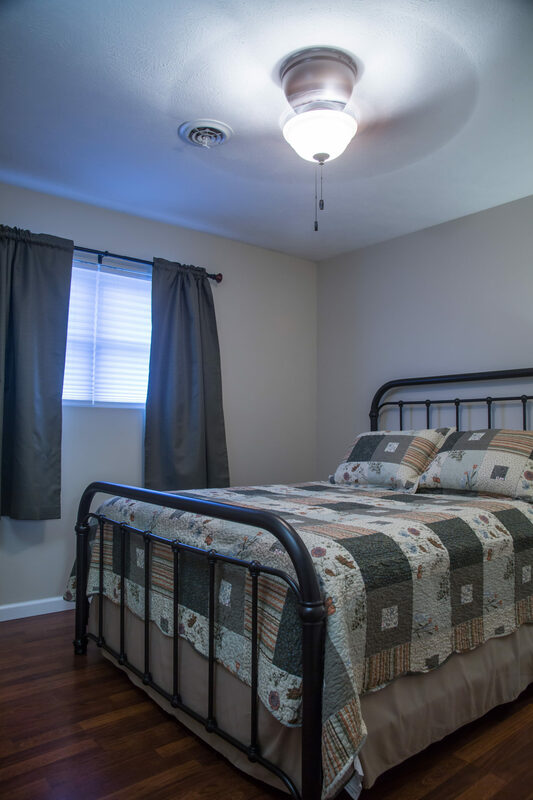 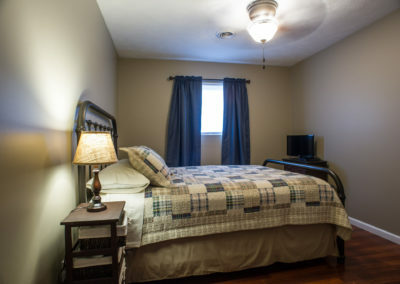 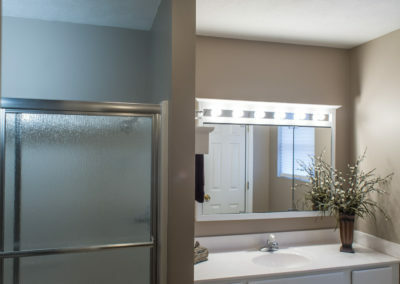 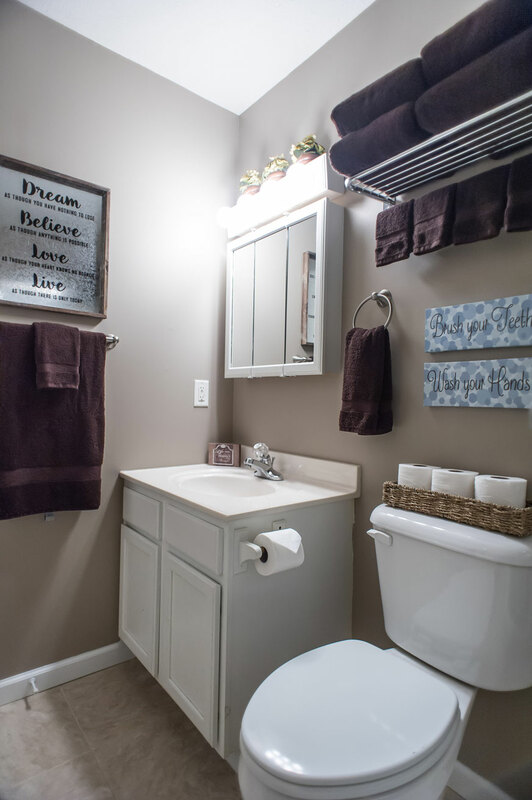 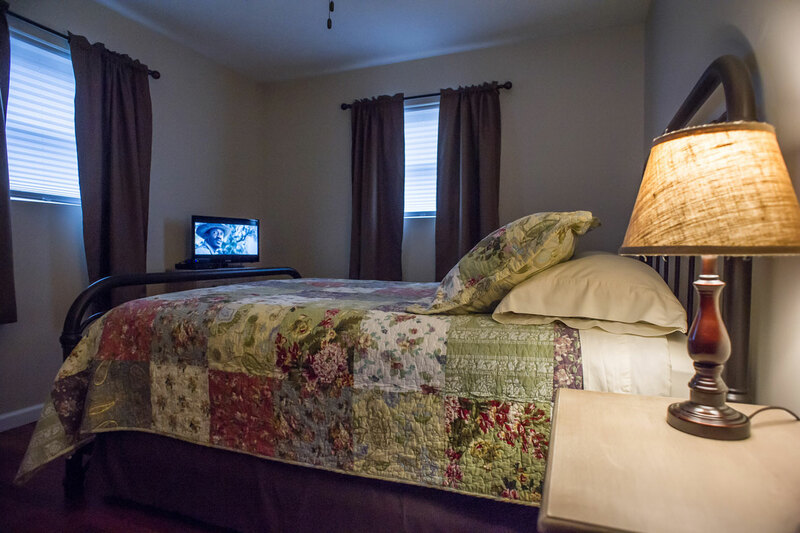 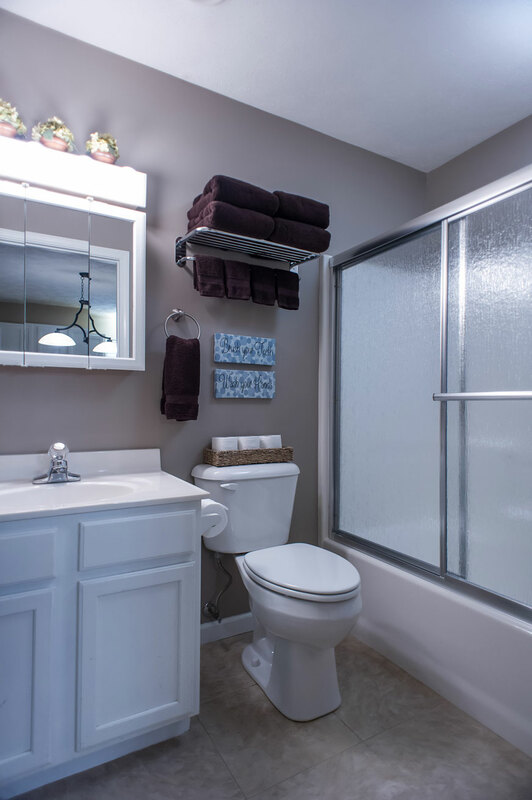 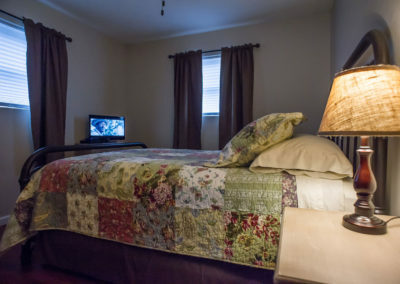 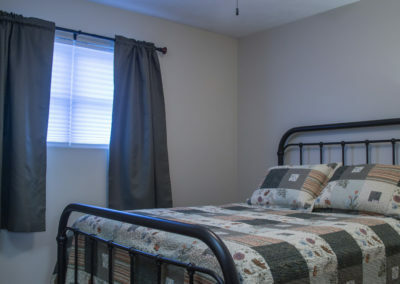 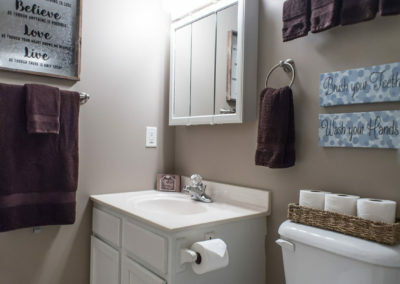 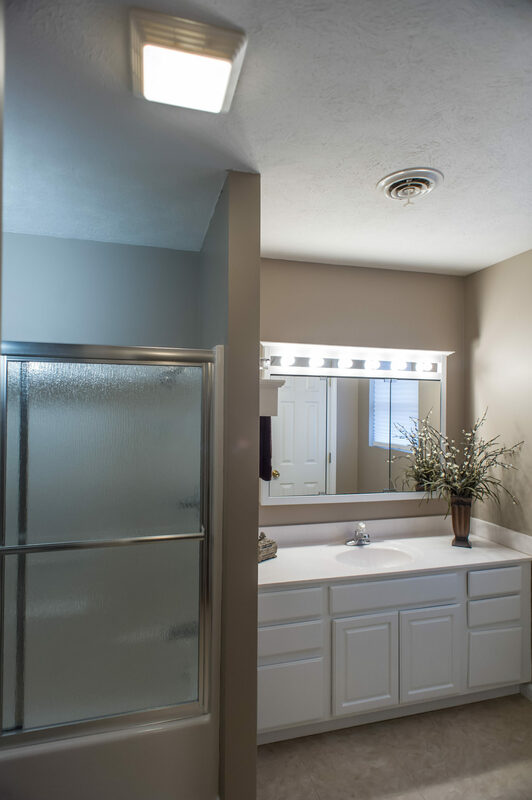 A full laundry room with washer and dryer is available for use by our guests.